Salon: "The Oscars’ woman problem"
ASTONISHING: Getting beyond basic cast-and-crew details, Anita Sarkeesian, a feminist pop culture media critic and the editor of Feminist Frequency, has produced a video (above) putting the 2012 best picture nominees to the so-called Bechdel test. This looks at whether a film has, at any point, female characters having an interaction with each other that’s not about a male character. Only two of the 10 pass. "In 2011, only 5 percent of the top-grossing movies were directed by women. And, astoundingly, the Oscars are even worse. None — zero — of the films in the best picture, best director, best adapted or original screenplay, best lead or supporting actor, and best supporting actress categories were directed by women. In the major categories, 98 percent of nominations went to movies directed by men, 84 percent went to movies written by men, and 70 percent went to movies starring men. The only female-centered movies that appear outside the best actress categories are “The Help” and “Bridesmaids.” In the best picture category, there are as many movies about women as there are movies about horses." "Besides Bigelow, only three other women have been nominated for the best director Oscar: Sofia Coppola for “Lost in Translation” in 2003, Jane Campion for “The Piano” in 1993, and Lina Wertmüller for “Seven Beauties” in 1976. In the years since Bigelow’s win, no women have been nominated." "The source of women’s underrepresentation at the Oscars is not exactly a mystery. A recent study by the L.A. Times confirmed what we all pretty much suspected: The Academy is overwhelmingly white and male. Seventy-seven percent of Oscar voters are male, a population that is very much at odds with America but fairly representative of the people who make the decisions in Hollywood." "In the best picture category, male leads get to be actors, landowners, adventurers, inventors, writers, executives, soldiers and architects. Female leads get to be … housewives or domestic servants. (Even the supporting female characters are largely wives and mothers.) It’s not that this doesn’t represent an aspect of women’s experiences. It’s just that it doesn’t represent anything close to the entirety of women’s experiences, and the recognition of a film that emphasizes gender stereotypes and not a movie that gives another kind of portrait (like “Young Adult,” say) is telling." "Maybe we need some affirmative action for Hollywood. If the government thinks it’s important to set standards for equality in workplace hiring, sports and college admissions, it might be time to recognize the importance of movies’ cultural and economic power. 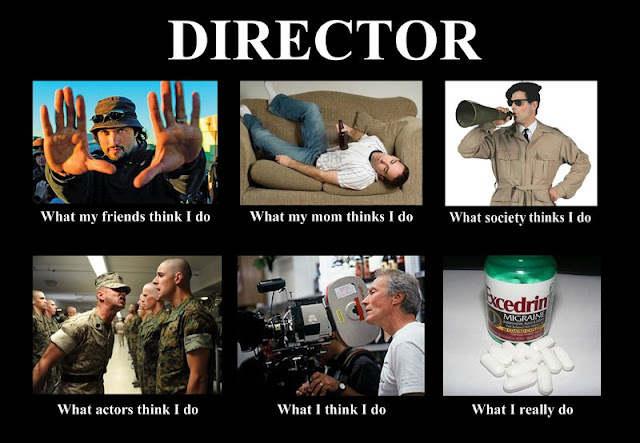 Hollywood is, after all, a multibillion-dollar industry, and one of America’s biggest exports. For women to have so few opportunities in the upper ranks of such an important industry is absurd, and exactly the kind of thing the government would want to get involved in — theoretically, anyway." Why my short is called "Stuffed"? | Porque o meu curta se chama "Coisado"? Why my short film "Stuffed" is called so? Why I began to sign as Gabby when I moved to U.S.? Find out the answers in this fun 5-minutes interview. (Aired on Jan. 7, 8 and 10, 2012 - Bruna Bezerra is the correspondent. Gisela Garcia, producer.) | Ponto Cult is a half-hour local news magazine in the state of Espirito Santo (Brazil), broadcasted weekly on SBT channel, that reaches 3.5 million viewers. Porque meu curta "Coisado" se chama assim? Porque passei a assinar como Gabby quando me mudei pros EUA? Descubra as respostas nesta entrevista super divertida, de 5 minutos. (Exibido em 07, 08 e 10 de janeiro, 2012 - Bruna Bezerra é a repórter e Gisela Garcia, produtora.) | Ponto Cult é uma revista eletrônica semanal transmitida pelo canal SBT no Espírito Santo, alcançando 3,5 milhões de telespectadores. SCBFF screens my short Stuffed next week! 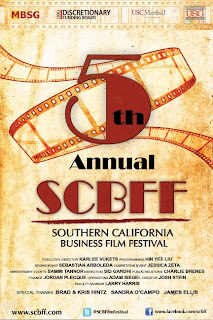 I'm very proud to announce that my short film STUFFED has been selected to the 5th Southern California Business Film Festival, that will take place next week -- from Feb. 27th to Mar. 4th -- in USC's campus, Los Angeles. 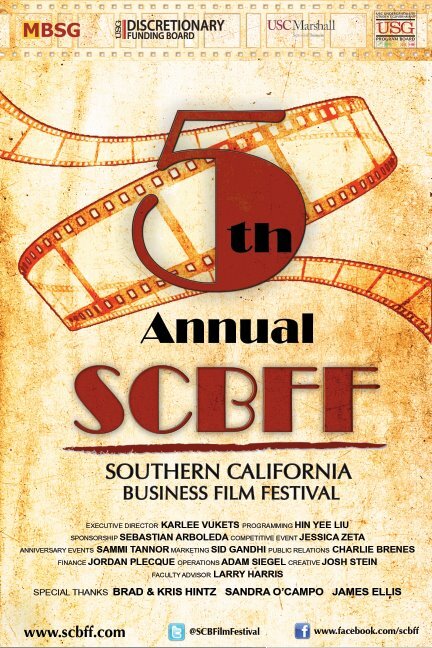 Sponsored by the USC Marshall School of Business, the festival combines two of the world's most powerful aspects -- film and business -- creating a week-long film extravaganza that includes extensive cast and crew-hosted screening series, networking events, speaker panels and student film competition. Fingers crossed for the amazing talents that were part of this cast and crew to be awarded the prizes above mentioned. The Awards Ceremony is scheduled for Sunday (03/04), in USC's Campus Center Ballroom, at 1:30pm. I assume general admission is free. I'll keep you posted though! Yay! Let's celebrate! 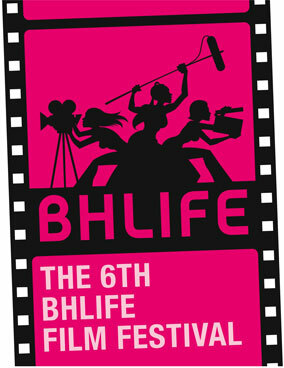 My short Synergy screened in BHLife in March! My directorial debut SYNERGY is officially selected to the 6th Boyle Heights Latina Independent Film Extravaganza (BHLIFE), that will take place March 2nd-4th in celebration of International Women's Day. According to BHLIFE's founders, the festival is "a celebration of Latinas, their voices and their visions. The mission of the festival is to build a network of Latina Filmmakers that will draw attention to the growing number of Latinas working behind the camera. The films of these Latinas constitute a body of work that acts as a powerful statement against the stereotypical portrayals of Latinas on screen." SYNERGY will be screened on Saturday (03/03), at 3:15pm, in the cute CASA 0101 Theater (2102 E. First., Los Angeles, CA 90033) along with eight other short films directed by Latinas. General admission is $10 and tickets can be purchased in advance here. Video: Brazilian TV show in U.S. interviews me! | Vídeo: Globo Internacional me entrevista! If you want to know more about me, please check the video below. Great interview (in Portuguese with English subtitles) by the Planeta Brasil crew. Thank you, guys! I simply love it! ||| Se você quiser saber mais sobre mim, por favor, confira o vídeo abaixo. Super entrevista (em português com legendas em inglês) pela equipe do "Planeta Brasil". Obrigada, pessoal! Eu simplesmente a-mei! Gabby Egito talks about her journey to become a filmmaker in U.S.. She is one of the Brazilians who were granted a scholarship by Americans. (Aired on Dec. 17, 2011 - André Szapiro is the correspondent. Luiza Florence, producer.) | Planeta Brasil is a half-hour news magazine that shows how Brazilians live outside Brazil. It shares their struggles and successes building lives in a foreign culture. The program is produced by F.J. Productions and airs weekly on TV Globo International, a satellite channel that reaches over 1.2 million viewers across the world and is present in 42 countries. In the United States, it is distributed by Dish Network, Comcast and Time Warner.